This policy is concerned with a whole school approach to the health care and management of those members of the school community suffering from specific allergies. 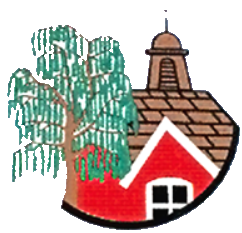 Canterbury Road Primary School are aware that children who attend may suffer from food, bee/ wasp sting, animal or nut allergies and we believe that all allergies should be taken seriously and dealt with in a professional and appropriate way. Canterbury Road Primary School’s position is not to guarantee a completely allergen free environment but rather to minimise the risk of exposure, encourage self-responsibility, and plan for effective response to possible emergencies. The Statutory Framework states that the provider must obtain information about any dietary requirements/allergy. As such parents are asked to provide details of allergies in the child’s Health Form, which is submitted before starting school. The intent of this policy is to minimize the risk of any child suffering allergy-induced anaphylaxis whilst at school. The establishment of effective risk management practices to minimise the student, staff, parent and visitor exposure to known trigger foods and insects. Staff training and education to ensure effective emergency response to any allergic reaction situation. Allergy – A condition in which the body has an exaggerated response to a substance (e.g. food and drug) also known as hypersensitivity. Allergen – A normally harmless substance that triggers an allergic reaction in the immune system of a susceptible person. Anaphylaxis – Anaphylaxis, or anaphylactic shock, is a sudden, severe and potentially life-threatening allergic reaction to food, stings, bites, or medicines. Epipen – Brand name for syringe style device containing the drug Adrenalin, which is ready for immediate inter-muscular administration. Minimized Risk Environment- An environment where risk management practices (e.g. Risk assessment forms) have minimised the risk of (allergen) exposure. Health Care Plan- A detailed document outlining an individual student’s condition treatment, and action plan for location of Epipen. The involvement of parents and staff in establishing individual Health Care Plans. The establishment and maintenance of practices for effectively communicating a child’s healthcare plans to all relevant staff. Annual staff training in anaphylaxis management if needed, including awareness of triggers and first aid procedures, including Epipen training, to be followed in the event of an emergency. Age appropriate education of the children with severe food allergies. Parents/Guardians must report any change in a child’s medical condition during the year to the school. For students with an allergic condition, the school requires parents/guardians to meet with the SenCo to write a Health Care Plan which is checked by the Head Teacher and school nurse. The School Leader will ensure that a Health Care Plan is established and updated for each child with a known allergy. Teachers and teacher assistants of those students and key staff are required to review and familiarise themselves with the medical information. Action Plans with a recent photograph for any students with allergies will be posted in relevant rooms with parental permission. Where students with known allergies are participating in school excursions, the risk assessments must include this information. The wearing of a medic-alert bracelet is allowed by the School. Parents/guardians are responsible for the provision and timely replacement of the Epipens. The Epipens are located securely in relevant locations approved by the School Leader. Parents are responsible for providing, in writing, on-going accurate and current medical information to the school. What to do in case of allergic reaction, including any medication to be used and how it is to be used. Control measures – such as how the child can be prevented from getting into contact with the allergen. If a child has an allergy requiring an Epipen, or the risk assessment deems it necessary, a Health Care Plan must be completed and signed by the parents. It is the responsibility of the Parent to provide the school with up to date medication/equipment clearly labelled in a suitable container. In the case of life saving medication like EpiPens the child will not be allowed to attend without it. Parents are also required to provide up to date emergency contact information. Snacks and lunches brought into school are provided by each child‘s parent. It is their responsibility to ensure that the contents are safe for the child to consume. Staff are responsible for familiarising themselves with the policy and to adhere to health & safety regulations regarding food and drink. If a child’s Medical Form states that they have an allergy then a Health Care Plan is needed. It must be in place before the child starts attending sessions. A risk assessment should be carried and any actions identified to be put in place. The Assessment should be stored with the child’s Health Care Plan. The Head Teacher will determine if a ban on certain foods is needed after a consultation with the parent/guardian and health professional. She will then publicise this to the whole school community. All staff who come into contact with the child will be made aware of what treatment/medication is required by the school Leader and where any medication is stored. All staff are to promote hand washing before and after eating. Snack time is monitored by staff and are peanut, nut free and other allergens depending on the children attending. All staff should know the procedures at snack and lunch time to ensure the safety of children with allergies. However staff cannot guarantee that foods will not contain traces of nuts. All tables are cleaned with an approved solution. Children are not permitted to share food unless part of a planned activity that the teacher has risk assessed. As part of the staff first aid course, Epipen use and storage has been discussed. We may ask the parent for a list of food products and food derivatives the child must not come into contact with. Emergency medication should be easily accessible, especially at times of high risk. Staff should liaise with parents about snacks and any food-related activities. A list of known allergens in the school meals can be found on the school website. Check to see if there is a Health Care Plan and follow instructions. If no Health Care Plan and the child is suffering serious symptoms ring 999 and follow advice. Contact parent to advise or ask for advice if less serious symptoms.